Everyone wants to be happy. While clinicians and researchers traditionally focused on helping troubled people feel less distressed—moving from -5 to 0 on the happiness scale—more recently they’ve branched out to investigate what actually leads to enhanced well-being. Some research findings point in surprising new directions, while others echo advice heard from wise elders and religious teachers across cultures and centuries. Learn the essential mindsets, strategies and dialogue needed to help clients become independent and happy. In this model, each and every problem is viewed as an opportunity to discover new abilities and expanded choice. In addition to solving the presenting problem, clients are empowered for a lifetime of skillful problem solving. 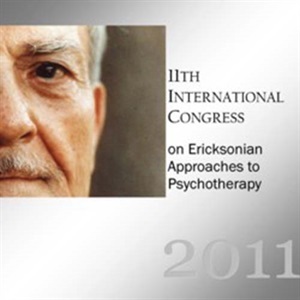 Erickson made happiness a legitimate goal of therapy and developed many interventions to enhance it. Positive psychology has provided the evidence to support this. In this workshop you will learn from a leading practitioner about the paradigm shift of positive psychology and develop a number of strategies to apply it in your own work.